The only proven effective treatment for cataract is with cataract surgery. Cataract surgery techniques among surgeons may vary slightly, but in general, the procedure is minimally invasive, requires only a small incision (which does not need to be stitched) and has quick postoperative recovery. The success rate of cataract operations is at least 98% in many centers. In ancient times, cataract extraction was performed by “couching”, where a curved needle was used to dislodge the cloudy lens into the posterior segment (back part of the eye). By doing so, the cloudy lens no longer blocks light from entering the eye via the pupil. The vision is therefore restored! However, in practice, couching is dangerous and ineffective. Patients often remain with poor vision and receive only limited benefit. 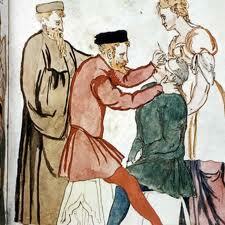 The ancient art of cataract removal during medieval times, otherwise known as couching. Thankfully, advances in technology and surgical technique mean that modern cataract operations are much safer and has better results. Surgery is performed in 2 main ways. Both cataract surgery techniques apply similar principals and are equally safe and effective. The procedures are minimally invasive, require only a small (usually sutureless) incision and has quick postoperative recovery. The success rate of surgery is at least 98% in many centers. But can anything go wrong? Yes, it can. Complications during surgery do occur, but they are uncommon and occur in only around 2%. Most complications are not serious and will settle over a few weeks if treated appropriately. Occasionally, a second operation is needed to fix problems that occurred during the cataract extraction, such as to repair a retinal detachment. Severe complications resulting in blindness are very rare (less than 0.1%). 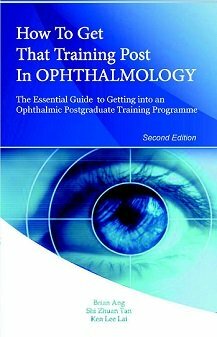 Advances in surgical techniques and intraocular lens technologies mean that surgery can be performed earlier and with increasingly better visual outcomes and lower rates of complications. This has now become the standard method for cataract surgery in the developed world. The advantage of phacoemulsification is the small incision size which allows for quicker recovery. With phacoemulsification, the main incision is only up to 2 to 3 mm wide, and allows sutureless wound closure. The term “phacoemulsification” refers to the use of ultrasound to break up the lens into smaller pieces which are then removed. The ultrasound handpiece has a metal tip which vibrates at a frequency of 40,000 Hz. This high frequency vibration fragments the cataract, thereby making removal easier. There is no damage to surrounding eye structures if there is no accidental contact with the ultrasound handpiece. Phacoemulsification utilizes high frequency ultrasound (like a vibrating jackhammer) to break the lens into smaller pieces which can then be sucked out. More recently, femtosecond laser-assisted cataract surgery (LACS) has been introduced. Using this technique, femtosecond laser is used to perform the initial steps of surgery (wound incision, capsulorrhexis, splitting of the cataract into smaller fragments) before the rest of the operation is completed as per routine phacoemulsification. While the laser-assisted steps are more precise, the overall outcome and results are similar to routine phacoemulsification. This technique is now gaining popularity in developing countries due to its relatively low cost compared to phacoemulsification. A larger 5 to 7 mm incision is made in the sclera, and the cataract is expressed whole out of the eyeball through this incision. This is different to phacoemulsification where the lens is broken up into smaller pieces within the eye before it can be removed. Although the wound is larger, no suture is required if it is constructed well. This is in contrast with the older conventional extracapsular cataract extraction technique where the large incision was made through the cornea, thereby requiring sutures. Studies comparing manual small incision surgery and phacoemulsification have found similar outcomes and complication rates, but recovery is quicker with phacoemulsification.